1:00 PM PT -- Sources close to the death investigation say it's likely Shain died from carbon monoxide poisoning. 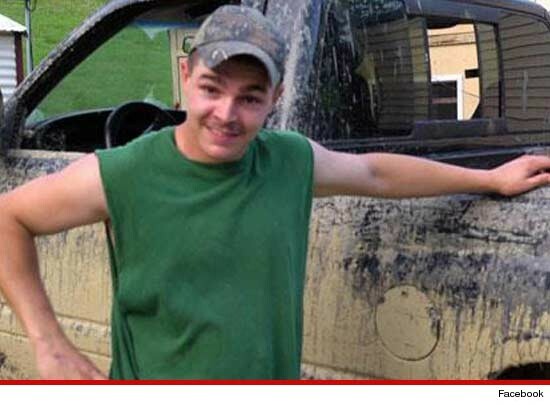 "Buckwild" Star Shain Gandee was found dead in a vehicle in West Virginia this morning ... 31 hours after the 21-year-old MTV reality star had been reported missing, this according to law enforcement. According to officials, Gandee, his 48-year-old uncle David Gandee, and a third unidentified body were discovered dead in the vehicle in Sissonville, West Virginia. There was no sign of foul play. As we previously reported ... Shain was last heard from around 3 AM on Sunday morning, when he and his uncle David told people they planned to go 4-wheeling. MTV has released a statement, saying, "We are shocked and saddened by the terrible news about Shain Gandee, and those involved in this tragic incident. We are waiting for more information but at this time, our main concern is for the Gandee family and their friends." MTV adds, "Our thoughts and prayers are with them. Shain had a magnetic personality, with a passion for life that touched everyone he met and we will miss him dearly." The rep says production of "Buckwild" has since been suspended. Shain Gandee TV Buckwild R.I.P. Shain Gandee Reality TV MTV R.I.P.